The Beatles 50 Years Ago Today: August 9, 1967. Beatles Radio: The Beatles, Solos, Covers, Birthdays, News The Fab 4 and More! 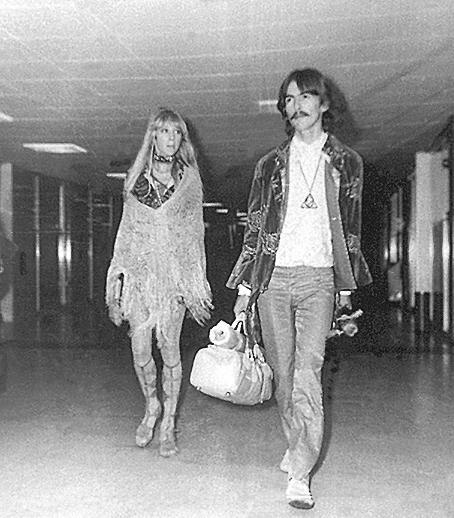 Following a week's break on the West Coast of the United States, George Harrison, his wife Pattie, and Neil Aspinall and Alexis "Magic Alex" Mardas returned to England on this day. They flew back to London via New York. During their time in the US, the Harrisons spent time with Ravi Shankar and other Indian musicians, with The Beatles' former publicist Derek Taylor, and with Pattie's sister Jenny Boyd.